Vadim has introduced me to this nice site. I've been using several sites for benchmarking before, but I found this one to be a really good CHI example. 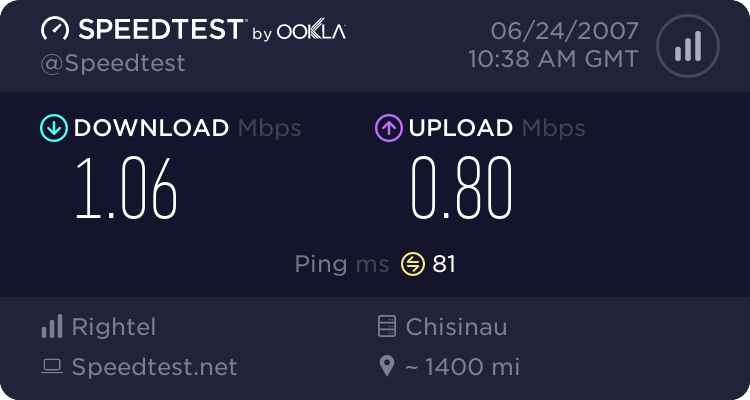 If you want tot test your Internet connection speed and enjoy a nice and user-friendly interface, Speedtest.net is the site you need to visit! They have servers located all over the world, so you can compare your results with others and easily share them. asa sa ma simt eu baiet cu viteza mare :D!